Don't let going on vacation interrupt your daily workout schedule. 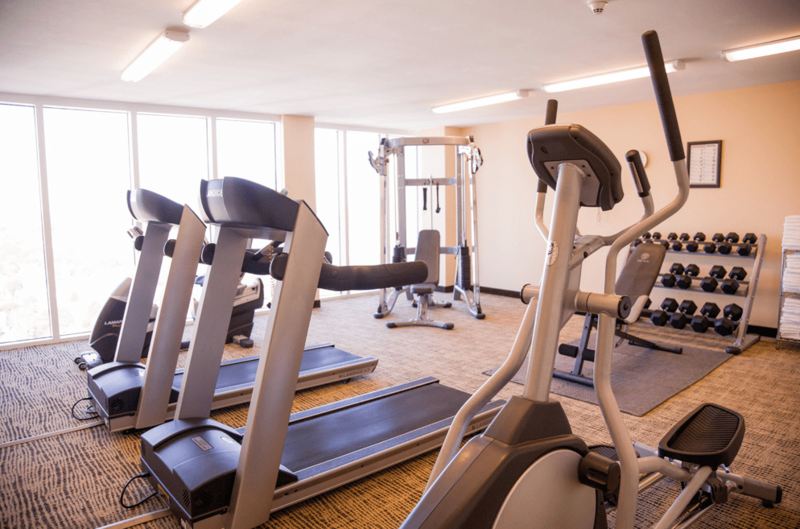 Strategically located on the 20th floor at Towers at North Myrtle Beach, you will find our state-of-the-art fitness center that offers premium fitness, cardio and weight training equipment. 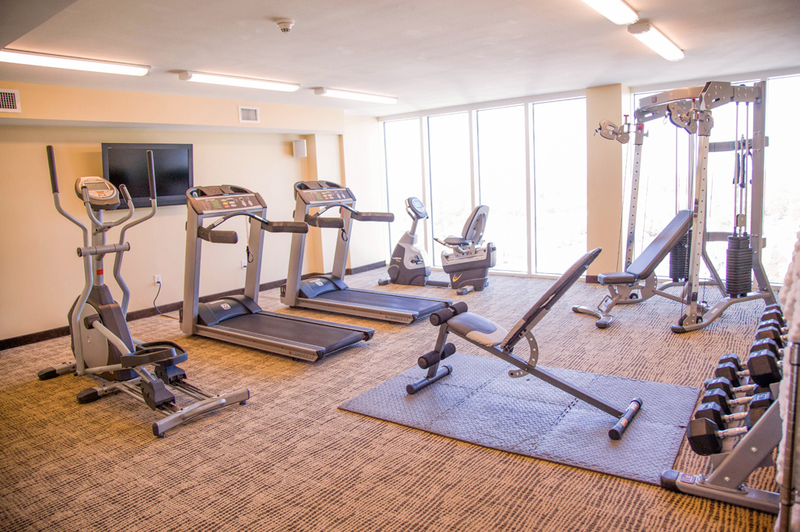 Take a run on the treadmill or go for a climb on the stair-stepper all while enjoying a beautiful view of the sunset from our floor to ceiling windows. Our fitness center is open daily from 6:00am to 10:00pm so you can stay healthy and get energized, even with a day packed full of adventure during your vacation in North Myrtle Beach.